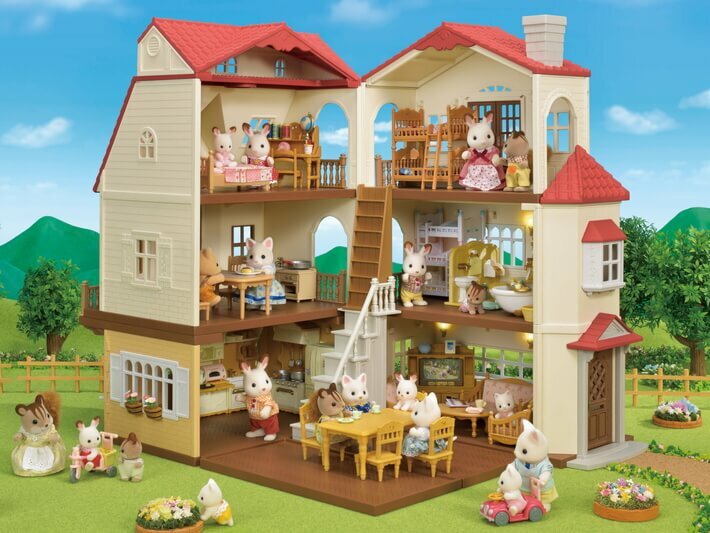 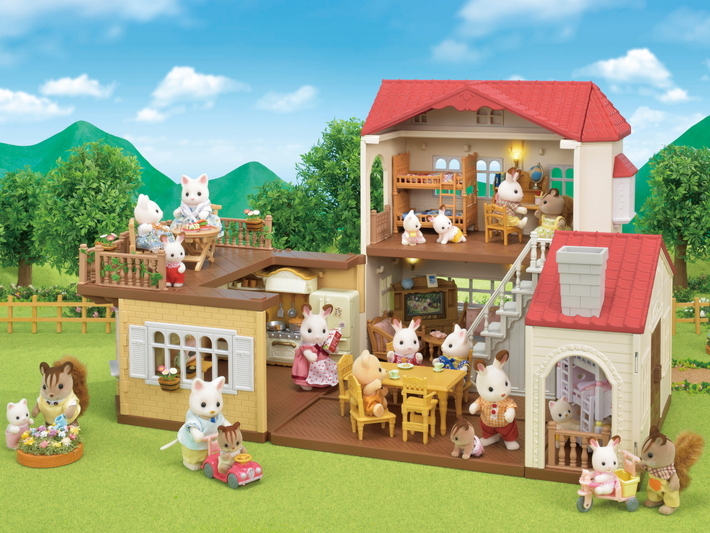 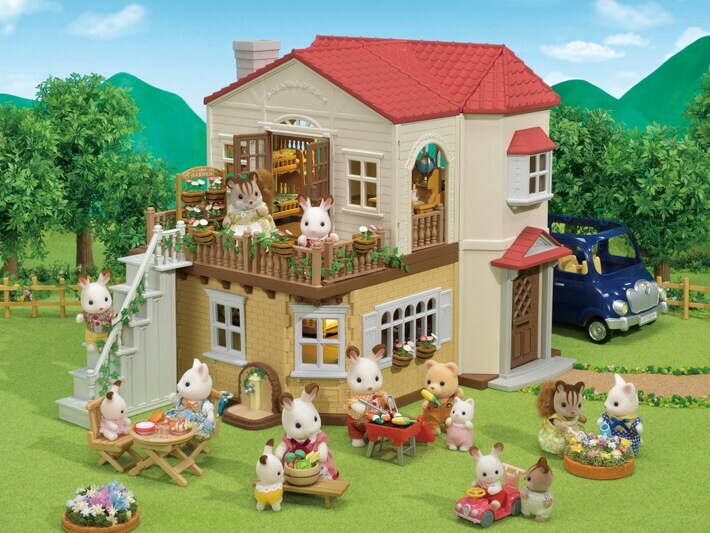 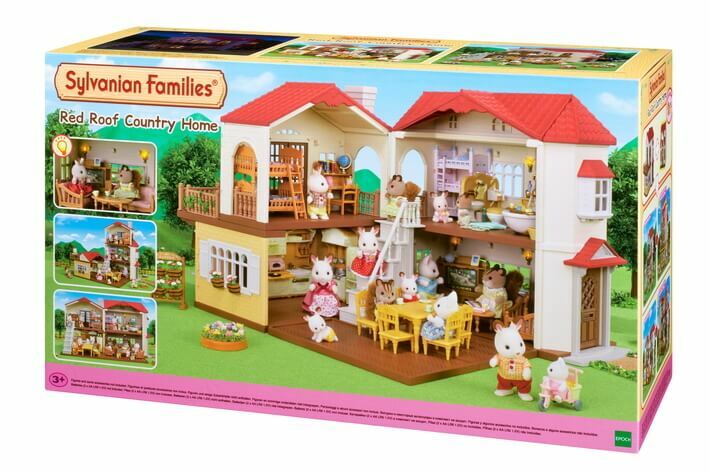 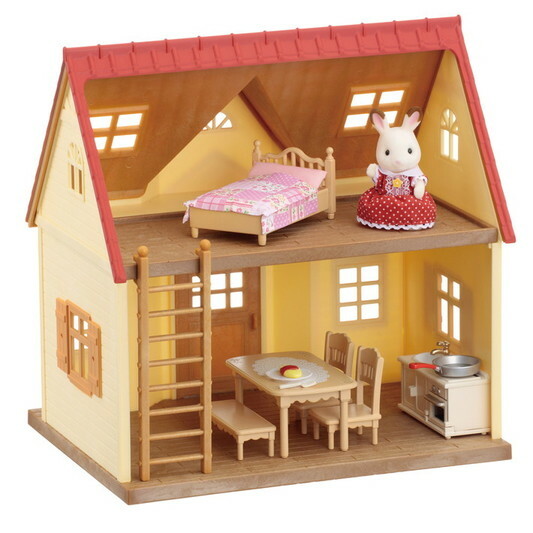 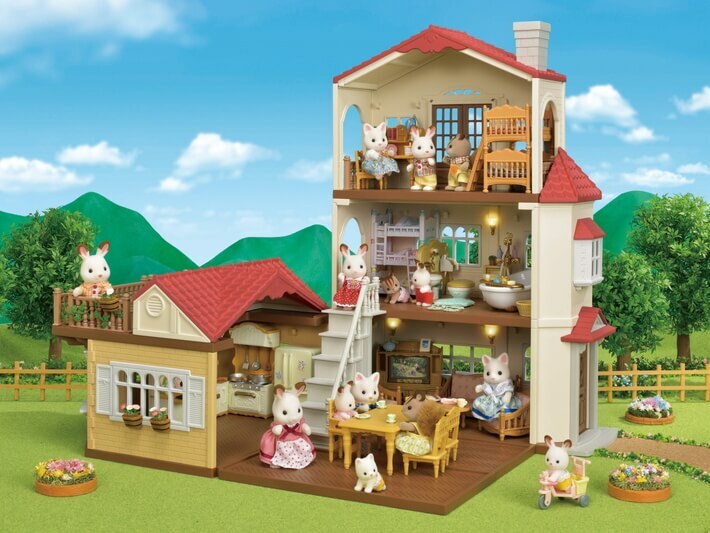 Red Roof Country Home features a red roof with brightly coloured walls that makes up the delightful Chocolate Rabbit Family home. 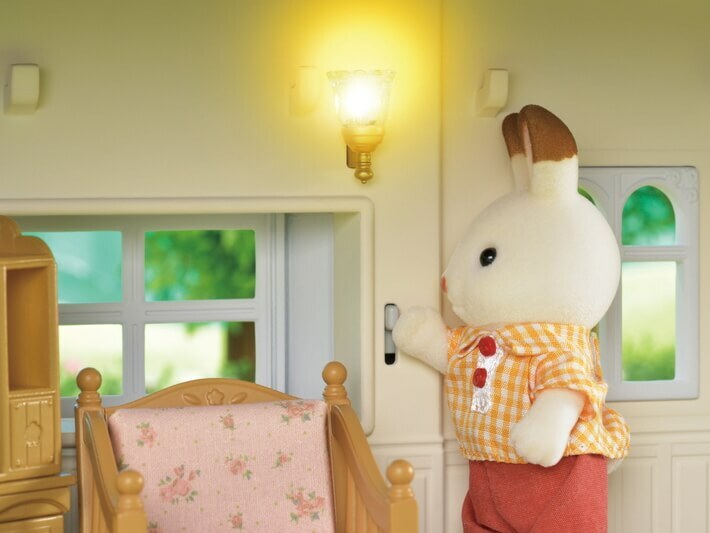 Rooms come with 3 lights, each of which can be turned on and off. 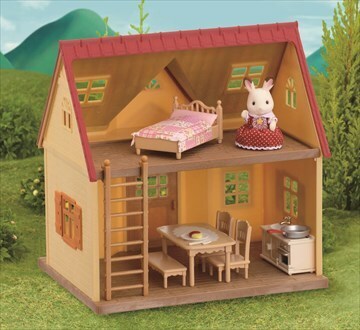 Red Roof Country Home can be opened up for play at 90-degrees, 180-degrees and any angle in between. 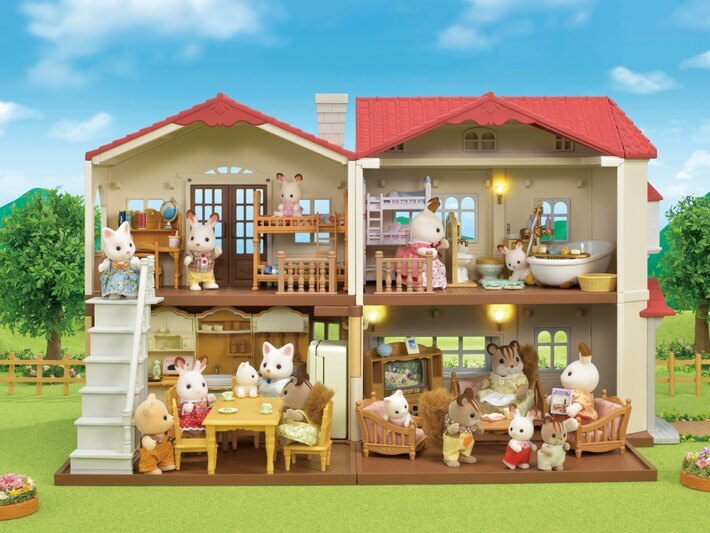 Closing up the house creates the appearance of a wonderful home, no matter which angle you look at it from, with light spilling out through the windows making quite the sight to behold. 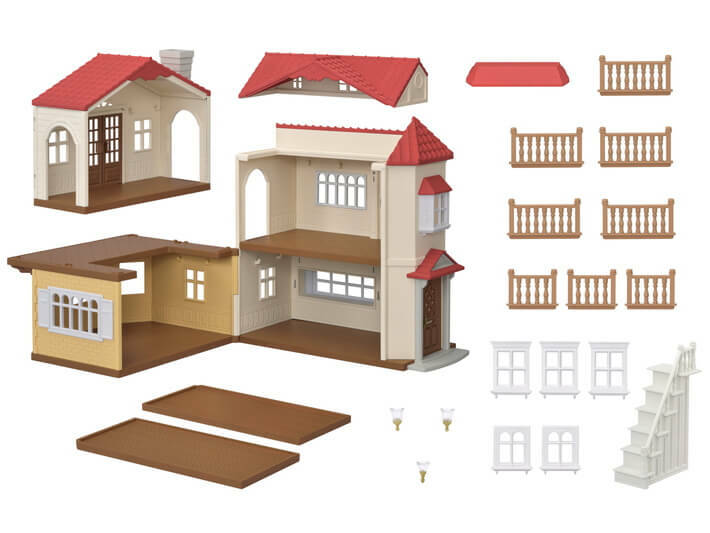 The second floor room on the left side, and the roof on the right side, are removable. 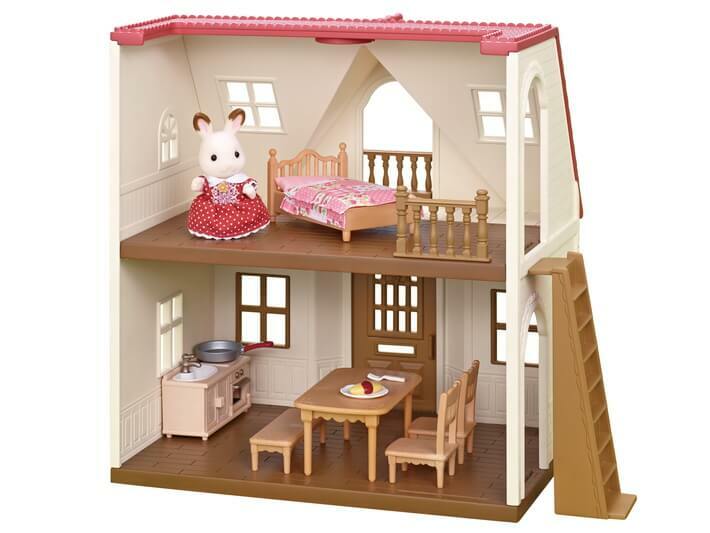 Placing this room on top of the roof, or placing the roof on top of the terrace creates a large, three-storey house to play with. 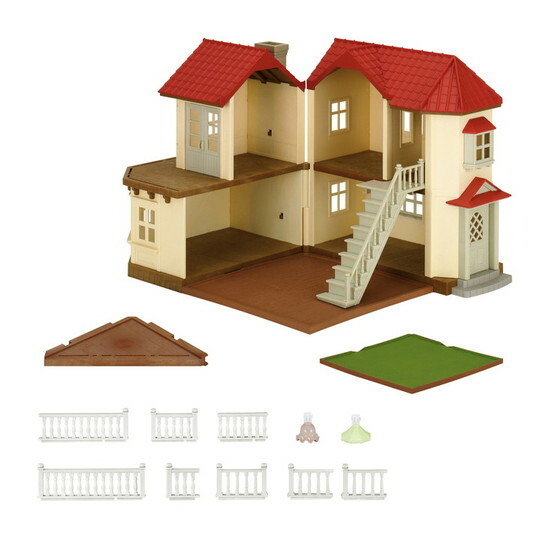 Connect to Red Roof Cosy Cottage to create a large, three-storey house (sold separately). 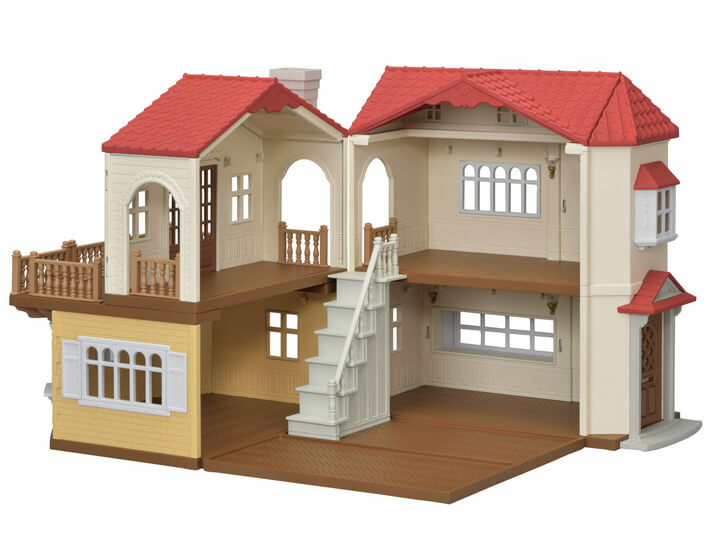 Placing figures and furniture into these rooms allows for even more enjoyable pretend play (sold separately). 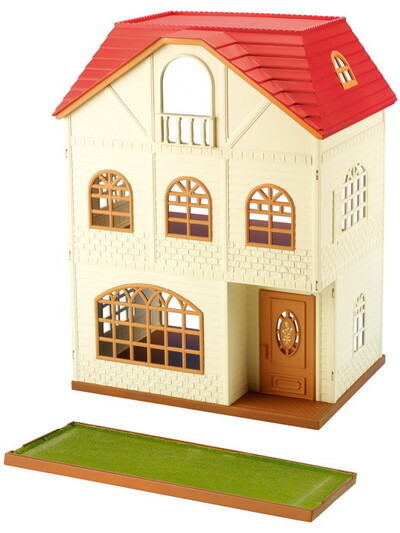 •The house can be opened up for play at 90-degrees, 180-degrees and any angle in between. 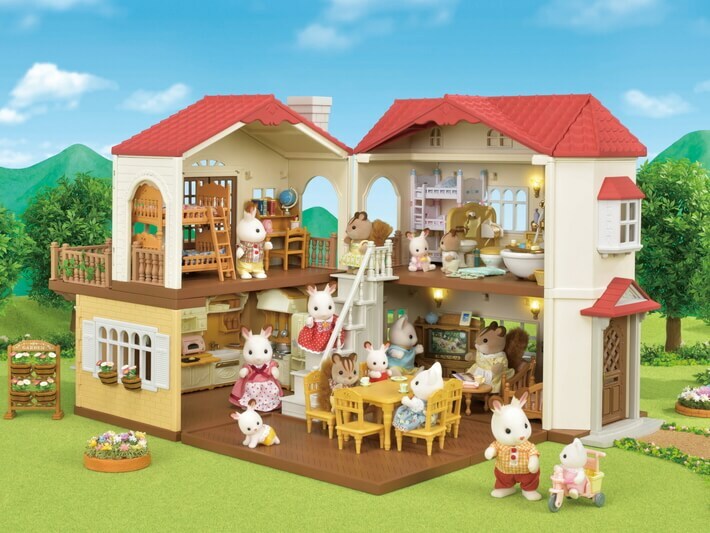 Additionally, the second floor room on the left side, and the roof on the right side, are removable and can be put back together to allow multiple ways to play. 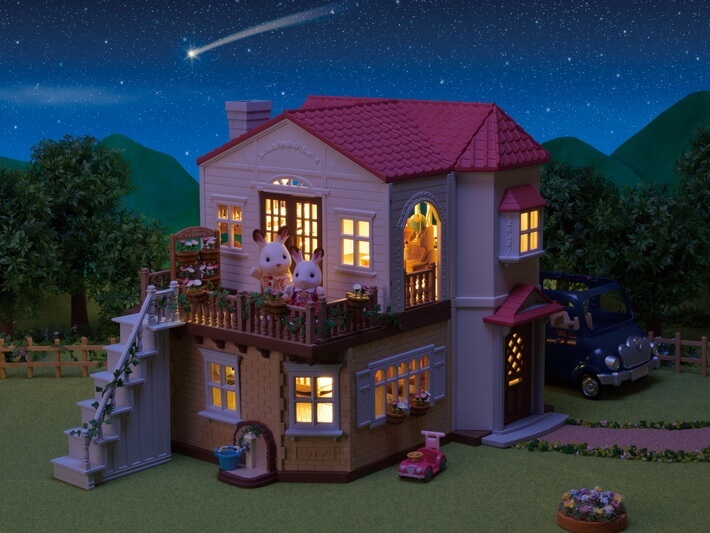 *This house has real lights! 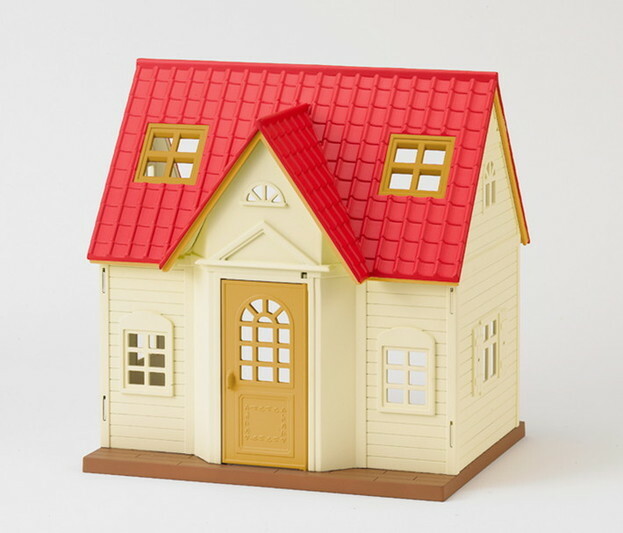 These can be turned on and off in the rooms.